The fourth lecture, Managing the Unmanageable, was recorded in Belfast. Professor MacMillan assesses how the law and international agreements have attempted to address conflict. She explores how both states and the people have sought to justify warfare — from self-defence to civil war. **This episode originally aired October 19, 2018. If we can't get rid of war entirely, then humanity needs to control it. And we've certainly tried. Margaret MacMillan says,"One of the many paradoxes of war is that even though it is the application of violence and even though we often see in wars there are no bounds, we keep on trying to set those bounds. We keep on trying to find rules of war, we keep on trying to limit war, we keep on trying to find ways in which we can try and make war less dreadful than it is. Those attempts go back as far as war itself, and war goes back right into the very beginnings of the organisation of human society. We try to justify it, we try to control the manners of fighting, we try to set up rules to protect civilians, we try to have rules for prisoners of war. We try of course to prevent it, we try to stop it, and if we're being very optimistic we try to outlaw it altogether." Truces, arbitrations, accords, agreements, peace conferences, war crime trials. The Geneva Convention. The League of Nations. The Briand-Kellogg Pact. The United Nations. The list is long, and the efforts well-intentioned. But controlling war is a struggle against something seemingly intrinsic to human nature. As Robert Aubry Hinde wrote in War: The Bases of Institutionalized Violence, "Man (especially Man, but also Woman) clearly has the propensity not only to behave aggressively to other humans but also to do so in an organized way and not infrequently with calculated cruelty." 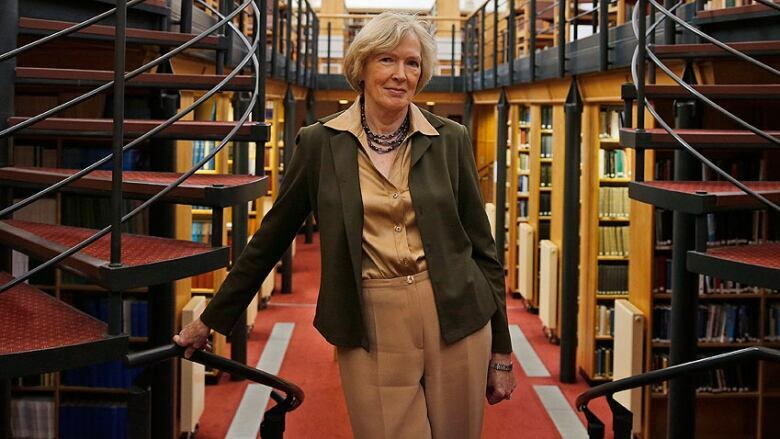 There's a particular poignancy in hearing Margaret MacMillan speak in Belfast. The Good Friday Agreement signed there in 1998 may have ended 30 years of sectarian bloodshed in Northern Ireland, but the gunshots and bombs still echo.